Let’s face it, HMOs are pretty popular these days and that means there’s more competition in the market, prices are higher and deals are harder to find. As ever, the way to get the edge on the competition lies in your ability to research the local area more effectively than the other investors working there. How many rooms there are to rent? [0.06] Hello, everyone. It’s Rob here from propertyinvestmentsuk.co.uk. I’m excited to show you some in-depth HMO market research that we’ve done recently into our area of the north-west of England. [0.20] Now, this particular research you can use to help you analyse and select target locations for HMOs anywhere in the UK, so whatever location you want to focus on, whether it’s going to be York or Bristol or London or Newcastle, Hull, whatever location you want to look at. [0.36] This particular research, the fundamentals that we’ve used and the criteria that we’ve looked at, you can translate to any particular location. We’ve particularly done the North West because that’s the area of the UK where we are based. [0.50] Coming up, I’ll show you 5 main target criteria that we look at, so that’s yield, demand, competition, supply, and population. [1.00] I’ll show you where to get those figures from for your local towns; what to prioritise; and how to combine it all into a matrix that’s going to show you which locations, postcodes in your local area are best. [1.15] I’ll give you specifically the detail for the north-west from the research that we’ve done. These are outliers that aren’t going to be very high competition, good price ranges, good yields, essentially places that tick all the boxes that you’d want to tick for your HMOs. [1.31] I’ll jump straight into it and give you a walkthrough of this research now. [1.37] Now, this particular research and dataset is to go alongside the other topics in our training course. [1.45] There we look at how to identify particular areas depending upon what your criteria is and what strategy – whether you want to be near to home or work. [1.56] Whatever your main priorities might be when you are choosing/selecting an area for investment. [2.01] In that other research, we look at a range of other details like population, demographics, price ranges, and hot and cold spots. This is to give you a bit of an overview of what the right location could be to start with. [2.15] This research here is more of a bolt-on to go alongside that. [2.18] It’s certainly not meant to replace it; it just helps you go a little bit more in-depth into specifically HMOs – so, houses of multiple occupancy. [2.29] Now, the reason why we’ve done this research is that currently – as you can see here, this is created in August 2016, when we filmed and shot this screencast. [2.40] But, we’ve pulled together the research in the middle of 2016 to try and understand a little bit more about some potential outliers and areas within the locations we are interested in, in the North West. [2.54] These areas might perform very well for HMOs but perhaps they have been overlooked. [2.58] Perhaps they haven’t really been focused on before. Certainly, we’ve not seen other companies – our competition – or other investors focus too much on these areas before. [3.06] And, these areas could perform very well because they have the right fundamentals in place. [3.10] This is very important at the moment because HMOs are very popular, so it increases the competition when we’re out looking for properties. [3.18] There are a lot more people looking to buy them. This tends to force the price ranges of what those properties go for and fetch, which makes it obviously harder to buy the right deals, right locations, at the right prices. [3.31] Then also, on the flip-side to that, when we go to rent them out, there’s also more competition on the rental side as well, because a lot of people are flocking to the same sort of areas. [3.39] Manchester, for example, a big city, a lot of interests in HMOs, but Manchester Council specifically has something called Article 4 in place which restricts new HMOs getting planning permission or being converted from residential properties into HMOs with permitted development. [3.59] Because of that, people are looking at alternate locations and alternate council areas that are still close by to Manchester. 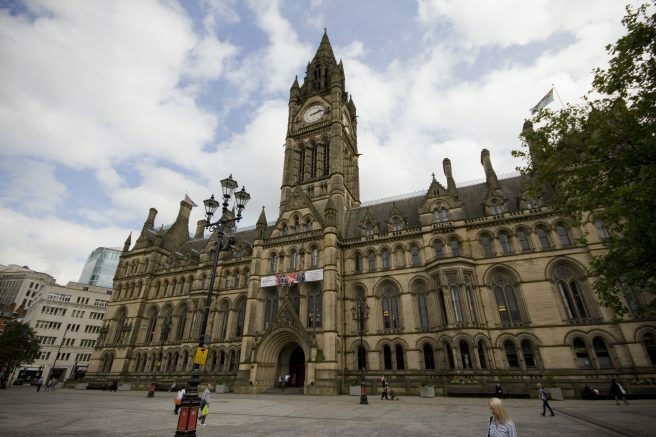 [4.06] They’ll tend to look at councils like Salford or Tameside, and that pushes up the demand therefore in those locations until it becomes quite saturated on a professional HMO structure. [4.19] There are some other councils as well that have been impacted in a way that is similar to that. [4.22] The whole point of this research was to try and find those outliers, those areas that will perform very well, that doesn’t have those same competitive pressures as some of the more popular areas do. [4.33] What I’ll do here is I’ll just go down the dataset, explain a little bit about what the information is that we’re looking at, and then also how the information has been collected and brought together. [4.44] First of all, at the top here, we can see the main results. [4.50] These are the priority locations across the northwest that we would say to focus on because they tick all of the boxes below here that we’re looking at as 5 main prioritised datasets essentially. [4.58] The main criteria is yield, demand, competition, supply, and population. [5.13] These areas here at the top, 1-5, and these are in priority order as well, so 1 being the most popular or the most priority location that we’re going to want to focus on for our HMOs and the areas they are in. [5.30] These here are performing very well across these 5 datasets. [5.36] Individually, here we have some raw data information, and that’s where these areas come into it. [5.41] Individually, if we look across these as a row, so this particular row here that’s been highlighted. [5.47] This row focuses on yield. In order to be in the mix on this row, it has to have a yield of higher than 10%. I’ll show you where we’ve got that data in a second. [6.01] Then the next one is demand, so the next dataset we’re looking at is demand, and it has to be areas that have higher than 40 rooms wanted in a particular location. [6.10] Then competition, supply, and population. Again, they follow across on those particular rows. [6.16] The areas here, numbers 1, 2, 3, 4, through to 5, they’re in this raw dataset because they’re the best locations for yield out of the areas across the North West that we’ve analysed. [6.28] The areas here, numbers 1, 2, 3, 4, 5, are performing the best for demand solely in the north-west based on these criteria of higher than 40 rooms wanted. [6.40] Number 1 has the most rooms wanted out of that particular research for example. [6.47] We know these locations on a raw level perform very well for these individual aspects, so yield through to population. However, these 5 here combine all of these criteria, if that makes sense. [7.00] It’s not like one of these locations just performs well for yield; it performs fantastically for all of these criteria. [7.08] As a general snapshot, to cut to the chase if it were, these 5 top locations here are the main key priority areas that we now focus on and are going to be looking for HMOs coming up in our areas because of these main criteria. [7.23] That’s how the raw data is collected. That’s how the top priority is listed. As we scroll down, I’ll show you the main locations that we’ve got the dataset from, so you can use this information, even if you’re not looking to do HMOs in the North West. [7.39] If you’re looking at other areas, you can use the same information and just obviously create your own datasets and structure and matrix for it. [7.49] What we have here is a prioritised dataset. So population, supply, all the way across through to … There’s quite a lot of data here as you can see. [8.00] All the way through to competition, demand, and then yield. They’re the main columns that we’re pulling this information from here to put into these key criteria areas. [8.11] Next, down here we’ve got ‘source’. [8.14] These are the particular websites that we use to analyse the data. [8.20] Some of these have conflicting data, so below this column here we’ve got some note section. I won’t go individually into these notes, but it’s important to read through them and pay attention to it as it’s part of the dataset that we’re going to be looking at. [8.37] Now, I’ll upload this document to the training course as well so you can play around with the document as you see fit and go through these notes as you’re going through the information. [8.49] It’s important to pay attention to because, for example the category here, population – we have two different sources, so postcodearea.co.uk is one, and google.co.uk is the other we are using to try and get the population detail. [9.02] But, they have conflicting data, so it’s down to you which one you trust most to give you that right dataset. 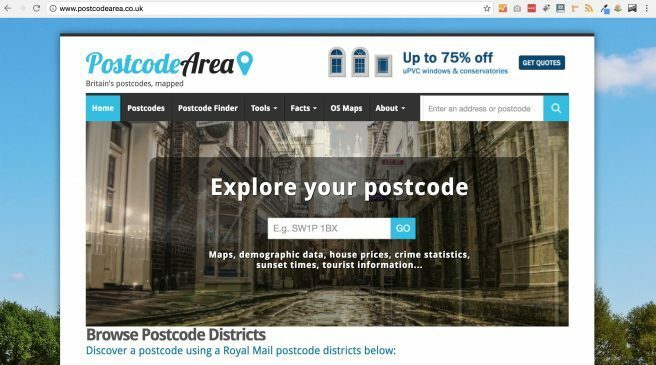 [9.12] I’m using, and we’re using in our business, the dataset from Google, but I wanted to include the other data because we use postcode area information for things like social classes. [9.24] If you’re doing the research online you come across postcodes, population and you think, “actually that looks a bit different than the data from Google,” then I just wanted to explain why and how we’re getting that information. [9.37] That’s the main sections, if it were, to consider in terms of source, category, and dataset, and then also to take into account, as we mentioned, these notes and information to go alongside that dataset. [9.55] Now as we go across, I’ll just explain the different detail at the top here and then we’ll look at the data below. [10.02] We’ve got social class, population, housing stocks – this is going to be all of the households in a particular location. [10.09] Then also the types of housing stocks. You’ll find that majority of HMOs is a conversion from residential housing stock of terrace houses or semi-detached houses, so that’s why we focus on those as the criteria. [10.23] You’ll also get HMOs that are converted from commercial premises that work very well, but the data we’re looking at here is just trying, give us a snapshot really, as to what areas can work very well as outliers. [10.35] Then obviously when you’ve got those areas, you can then start to look at and see what individual opportunities are available in those locations. [10.45] As you scroll across, we’ve also got price earnings. It is important to understand how affordable a particular location is with the local population. [10.55] Mouseprice is another website that we use, and that gives us a lot more data than some of the other property portals. 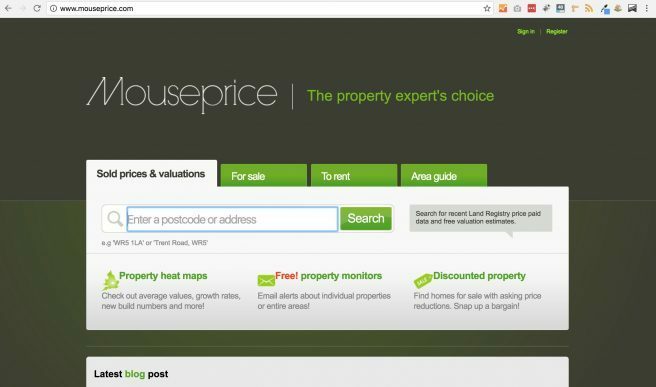 [11.01] So with Mouseprice here as you can see on the price-earnings element – we’ve got an average asking price and a current value of a property. [11.10] Now, one of the things to consider with the dataset is because we take postcodes as the criteria to then assess what location we’re starting with and then what current values of properties are in that postcode, you will have some postcodes that cross a mix of demographics in terms of you’ll have very low-value estates or areas and very close to quite affluent estates and areas. [11.42] The same postcode will pull that information together into one current valuation. That’s important to consider. If you know your local town or your local city, just take that into account when you’re looking at the datasets. [12.00] Average earnings, again, very important so you can get an understanding of what the situation is of the local population, and then also earnings ratios as well. [12.08] As you scroll across here, it breaks down the prices of the properties into more individual-type stock, so two-bedroom houses for example and three-bedroom houses. [12.21] That’s important to understand to try and see what the general rental yields are in a location because if it’s too low, that location might not work, not only for straight-forward rental or buy-to-let, but it might have quite low yields for HMOs as well. [12.38] One of the reasons why the majority of people look at HMOs is because of the increase in yields that they can generate, so if that’s the key criteria, then it’s important to look at areas that do have very good yields. 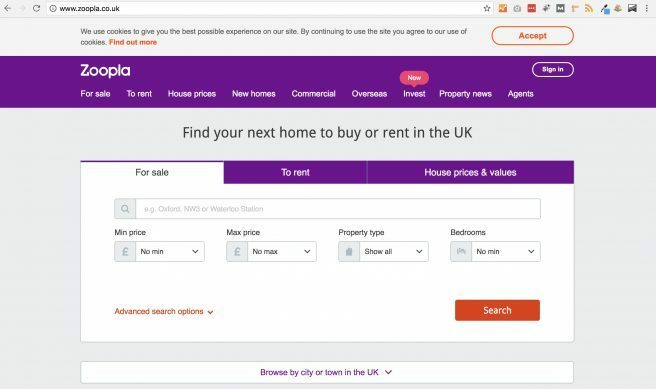 [12.49] Break that down in terms of not only asking prices but also the asking rents, and that’s data now collected from Zoopla, and it gives us some percentages figures as well. [13.00] Market activity, that’s quite important to understand what’s happening in that local area, so, the number of sales happening over a 12-month period and a 5-year period, and again this is postcode-focused. [13.13] How that’s changed – so if price ranges are dropping or increasing in that local area. All the way through to median selling times. [13.26] Now, that’s important because it gives us an understanding as to not only how many properties are selling, as we’ve got here, and what prices, it’s going up or down, but also how long it takes for the properties to sell. [13.17] You can then factor that in in terms of comparing the postcodes. [13.41] Just a very quick snapshot here, you’ve got 2 different areas. One has taken ninety-two days to sell on average, the other one’s taken 49 days to sell on average. If you’re wanting to have an easy exit, then you might want to focus on areas that have quicker selling times because it might be a more buoyant location over a long run, rather than just this short-term snapshot that you’re looking at currently. [14.08] That’s under 100,00. That’s between 100,000 and 200,000. That’s good because it gives us the right sort of price ranges of the properties that were forward in the HMO category most of the areas across the north-west. How Many Rooms Are There To Rent? [14.24] Next up we’ve got how many rooms for rent in that particular area. 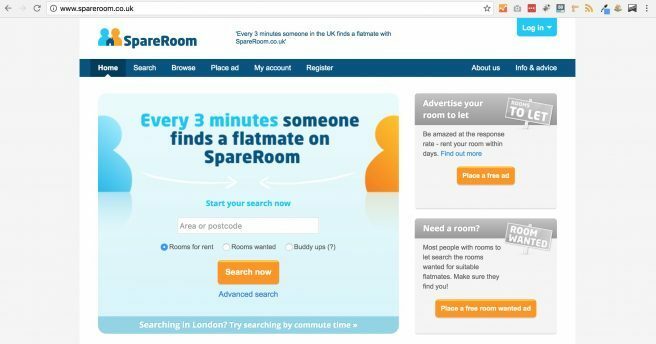 [14.26] So we’re using spareroom.co.uk now and looking at HMO competition. [14.30] Rooms wanted in that particular area – now this is important to understand from a dataset point of view where it’s coming from. [14.38] If you’ve got a particularly large city or town, let’s say, that you’re looking at, and you put in a particular postcode, it might bring in, like you could see here, very high figures for a number of rooms wanted in a particular area. [14.55] That probably crosses over more than just one postcode, so that’s important to take into account so that you don’t give too much weight to a particular postcode solely on this dataset. So if the city you are looking at is very close by to another city, and then a lot of the criteria, the rooms wanted, are coming from that other city, if that makes sense. [15.15] Again, things like this, when you’re looking at the data, don’t just take it as the raw information; do a bit more research into it and understand the context of where it’s coming from. [15.25] That’s going to help you much, much more or give you certainly a much more rounded understanding of where that data is coming from. [15.31] Next up, we’ve got, still in Spare Room – looking at the average room rental, so what price a room will actually rent out. [15.37] Again, we’re using median averages here. Combined with the minimum and maximum for that area, so this particular location, for example, the minimum price ranges of properties that we can see is £69, maximum £90. [15.49] That includes an average across the board, or median average, across the board of £81. [15.55] In these particular locations, again, we have to use certain general information when we’re looking at it, so for the HMO values, for example, I think we’re using 4 bedrooms all bills included. [16.09] That’s where we get these criteria from so that we’re comparing apples to apples in terms of location. So, they’re all 4 beds, they’re all bills included, so we know that we’re looking at the same kind of data. [16.21] At the end over here, you’ve got the HMO yields that kind of come into account. [16.26] Now, you can handball this information in terms of selecting individual properties and then saying, “Well, I can buy this property for X amount,” 100,000 let’s say for argument’s sake, and the rentals are this, so I can create my own yield from that. [16.44] What I wanted to do here was take out the potential human error aspect, though, and look at this purely from a data aspect or a raw data aspect. [16.53] We have a calculation here that takes into account the average room rentals divided by the average asking price for the properties in that area so that we’re looking at, again, comparing apples with apples. [17.06] Within this yield section, these are gross yields, but we’re looking at a yield of 10% or more in order for it to satisfy the criteria that we originally looked at, which is this here. [17.20] Higher than 10% yield before it gets into this kind of mix of being a top 5 property. In order for it to be in a location that we would actually kind of consider. [17.32] That’s it in terms of the dataset at the top. What if we go all the way across to the side again, now what you’ll see here is obviously different kind of colour-coding. [17.40] That’s probably going to be quite confusing initially, so I’ll try and explain that a little bit better and then hopefully that will give a bit more context what areas are performing quite well. [17.52] Let’s say we start off with the first criteria, which is yield here, higher than 10%. [17.58] What we did below, all of these areas, we’ve firstly broken it down into the area, the individual postcode sectors and then obviously got this data from the different sources that I mentioned at the top here. [18.12] Filled all this in. Once it’s in there, then we can start playing around with the data and using it to give us the information that we need. [18.20] Once all that information’s in, we then look and say, “Well, okay, what out of these listings have a yield of higher than 10%?” Then we highlighted them all yellow. [18.29] All of the listings here that you can see they’re colour-coded, initially, when we started off with yellow, apart from these at the bottom. That’s because of these particular postcodes and these particular areas, forgetting the rest of the information, if you scroll all the way across to yield, had a less than 10% yield in the results that were coming back. [18.54] It doesn’t matter if those are very high population or low competition or high demand in that location; if the yield’s less than 10% on our initial figures, we discounted them and that’s because we need property the achieve certain amounts on the return. [19.06] It’s also because when we’re looking at those at these areas, we want it to tick the boxes for everything. [19.14] We want the house in multiple occupation (HMO) to deliver on yield, demand, competition, all of those aspects, so that’s the criteria that we’ve selected for each of them. [19.21] These are below 10%, so they weren’t colour-coded initially to start with. [19.25] Then we have 2 lists, one which is all yellow, that have higher than 10% yield, and one that is kind of discounted, so they aren’t colour-coded and these are out of the running – these locations. [19.36] Okay, and if we scroll up back to the top and then look at the next criteria – so the next one is demand. [19.42] That’s where we’re looking at higher than 40 rooms wanted in that particular area, so that’s where we look at, if we scroll to the priority ones, you can see here demand. [19.55] SpareRoom, HMO interest and demand, rooms wanted. [19.58] All of these locations needed to have higher than 40 rooms wanted in that postcode in order for it to kind of fit the criteria. [20.05] What we did then, of all the ones that were yellow, if they achieved the demand criteria, we then highlighted them pink as you can see here. [20.18] What that started to do is separate the areas, again, so we have the original list of locations that don’t work, a list of yellow areas, as you can see here, that stayed yellow, that ticked the boxes for yield, which is great. But, then they fell down on the demand aspect. [20.35] There’s not enough demand in that particular postcode in order to warrant moving it onto the next stage, so they just stayed yellow – they kind of fall out of the running in that aspect. [20.45] Then we have this new list that was highlighted pink. [20.50] We follow those same criteria all the way down, so competition, supply, and population until eventually what we have is a matrix of obviously a different colour code but ultimately this purple colour that you can see here, any of these areas that are coloured purple, therefore, achieve each of these individual aspects. [21.11] It passes the criteria for yield, passes the criteria for demand, competition, supply, and then also population. [21.21] Any of these purple areas, these are the key areas that we want to be focusing on. They’re the priority towns, cities, postcodes and regions that we want to really look at as our key focus for our HMOs. [21.35] The other colours, it depends on your individual preferences. [21.38] They may work for you, depending on your criteria, or when you look at the other locations for whatever reason if they’re not suitable for you, you don’t like them or you don’t want to look at them and focus on them. You can then just choose the kind of colour-coded option that fits you best. [22.24] That’s where we’ve ended up with this kind of top priority list here of 1-5 with 1 being the best and 5 being, not the best, but still better than the ones that haven’t kind of made that top priority list. [22.38] Hopefully that helps to give you a bit of an idea in terms of the further, more detailed research that you can do to try and analyse HMOs, and houses in multiple occupancy, in your local city or anywhere for that matter. [22.50] You can do this whatever location of the country you’re based in. [22.55] We’ve obviously looked at a lot of areas here because we’re covering the whole of the North West, but if you’re based in one particular city, so if you’re based in York or Leeds or Bristol or Newcastle or Hull, or wherever it may be and you want to focus just in your area and just in your postcode, you can run this same research. [23.17] You just have a smaller dataset to look at, a smaller number of postcodes, and you just prioritise whichever one you want. [23.20] If we scroll back up here, you can use these sources here to give you the information on these categories. So population – social class. [23.28] Check these datasets, and then prioritise them however you wish. [23.32] Personally, I prioritised yield, demand, competition, supply, and population, and that’s why we’ve ended up with this purple highlighted locations, and then ended up with a top 5 priority list. [23.43] Hopefully that helps. Obviously, use the information yourself if you’re looking to focus on the North West to look at these areas, these outliers that could work very well as new locations for HMOs and give me some feedback. [23.57] It would be great to hear how you’re getting on. [23.59] Obviously, if HMOs are your strategy and your criteria, it’d be fantastic to see if this research helps you, whatever your area you’re looking at. [24.06] Any questions as you progress, I’m more than happy to help, so feel free to send them across, email me across, or drop them below this video. I would never have even considered half of this… roll on the next venture! What a fantastic share. Thank you!! Exceptional training – really good clear means of qualifying a possible investment area!